Melbourne is known for good coffee, horrible weather, Australian Rules football and militant unions. 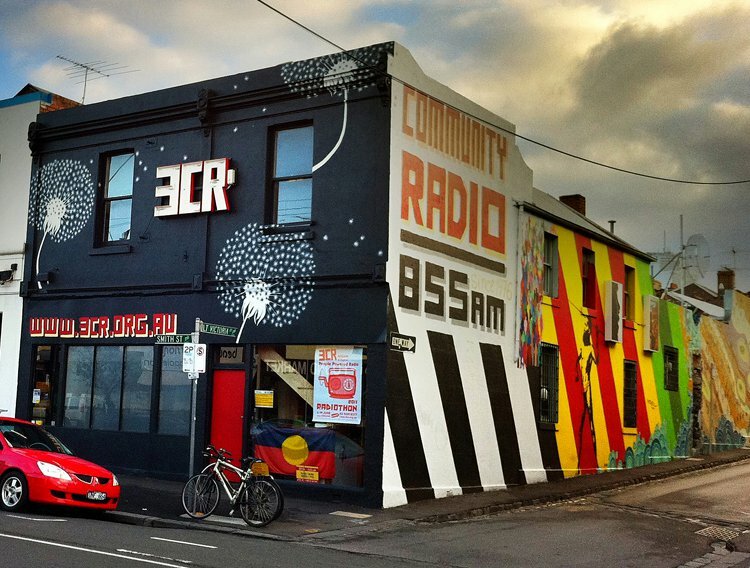 Since 1974, community radio station 3CR has been a supporting beam in the city’s radical infrastructure. Green Left Radio, like all 120 programs on the station’s schedule, are calling on listeners and supporters to donate to the annual 3CR Radiothon and keep the signal strong on their June 16 show. I love this book. It is a showcase of four decades of Melbourne community radio station 3CR — one of Australia’s oldest and most progressive broadcasters, intertwined with the local and national landscape of political struggle from the mid 1970s until today. 3CR Community Radio released this statement in the wake of the United Patriots Front's invasion of their offices on November 1. On November 1, five members of the fascist group United Patriots Front (UPF) gained entry to the premises of 3CR Community Radio and filmed throughout the building without permission. In an effort to intimidate the station and its programmers, they then posted the video on their Facebook page. 3CR reasserts its commitment to progressive politics and our core mission of providing a voice to people denied one elsewhere in the media and in society.